Advocate, teacher, promoter. The Canadian Institute of Steel Construction (CISC) is Canada’s voice for the steel construction industry. The CISC promotes dialogue, collaboration and commerce between industry stakeholders – advancing the benefits of steel to the consulting community, builders and buyers, academia and government. 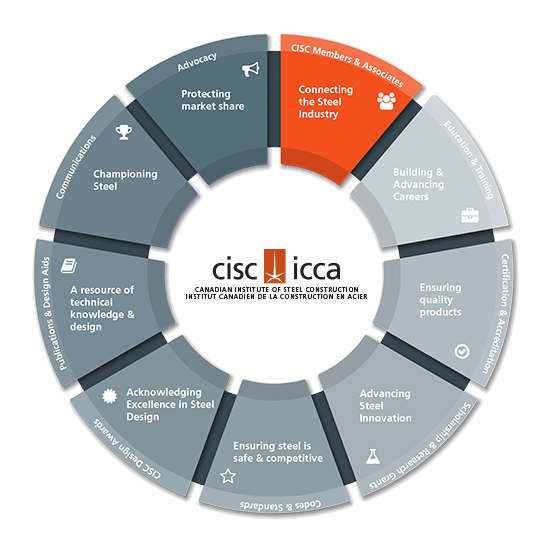 The CISC represents a diverse community of steel manufacturers, fabricators and constructors, engineers and architects, owners and developers, and educators and students, offering a wide span of products and services to enhance capabilities and grow businesses. Founded in 1930, the CISC operates as a technical, marketing and government relations organization representing the Canadian Steel Industry. 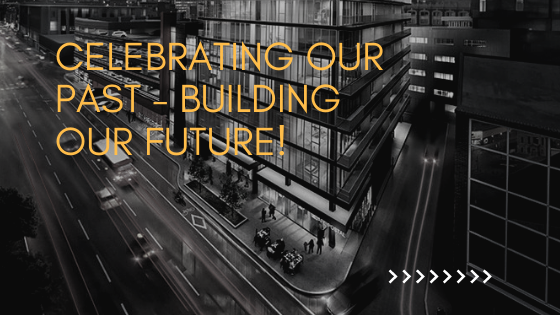 Canada’s voice for the steel construction industry, providing leadership in sustainable design and construction, efficiency, quality and innovation. 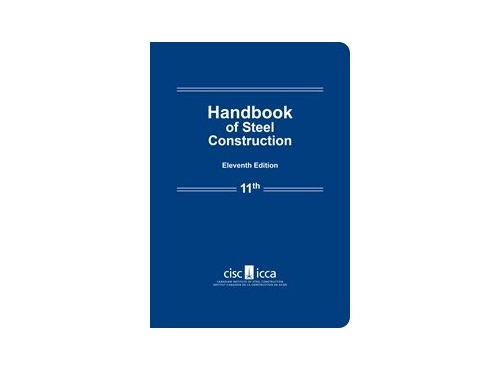 The CISC promotes the use and benefits of steel in construction, adds value to the design and construction community and supports the needs of the membership and industry through technical expertise, knowledge transfer, research and development, industry codes and standards, certification, and advocacy. Be a leader. Support your industry. Make your voice heard. Become a member of the CISC – the voice for Canada’s steel construction industry.